Ruban (from India) and Simone (from Switzerland) have been married for many years and they are blessed with a son named Jonathan and a daughter named Lilian. Currently they are working with YWAM in Wiler, Switzerland and are leading their own ministry in India called Nambikkai - House of Hope. They work among the socially and economically discriminated people group in India. 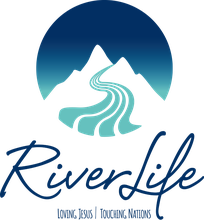 Ruban & Simone are also members of RiverLife International Church. Take a Look at the Rajaiah's family's latest update!